She said the Government would consider a “special honour” for the legendary musician. She was among the first batch of mourners to visit Tuku’s home to pay their condolences. She said Tuku was a friend, with whom she shared numerous ideas. “We had mutual respect for each other. Last year we sat on the same panel when we were talking about philanthropy work. I last spoke to him towards the end of last year when we met at the airport. He was coming from a tour and I was travelling to South Africa. 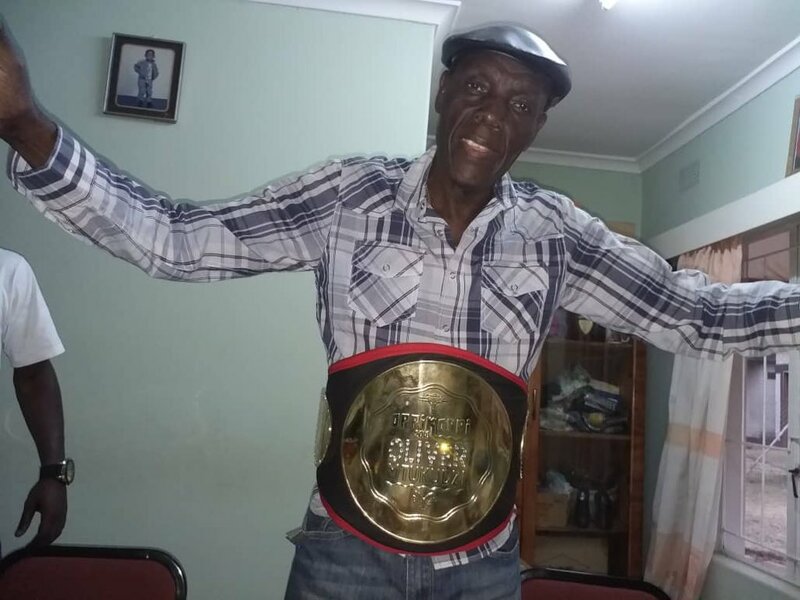 The late Mtukudzi is father of five children and has two grandchildren. Two of his children are also musicians. His son Sam Mtukudzi, a successful musician in his own right, died in a car accident in March 2010. 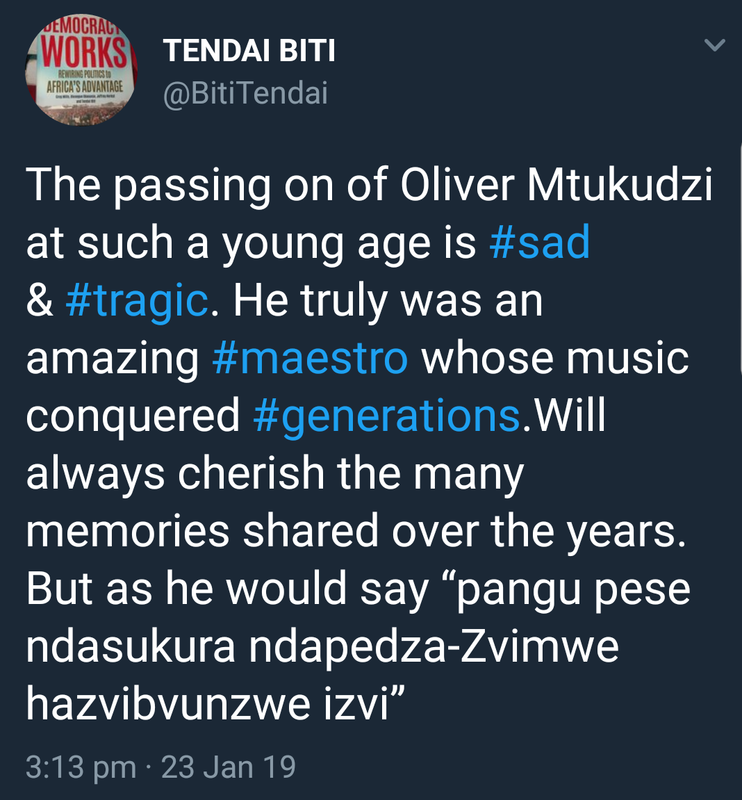 Meanwhile, President Mnangagwa yesterday said he learnt with deep shock and great sadness of the death of international music icon Dr Oliver “Tuku” Mtukudzi, describing him as an expression of Zimbabwean identity and the country’s cultural ambassador. The legendary musician died at the Avenues Clinic in Harare yesterday after a long battle with diabetes. President Mnangagwa said Dr Mtukudzi raised Zimbabwe’s flag high wherever he performed. “An international icon, the late Dr Mtukudzi has been our cultural ambassador throughout his illustrious musical career raising our national flag high wherever he went to perform here at home, on the African continent, and throughout the world,” he said. The Head of State said Dr Mtukudzi was an expression of Zimbabwean identity. He said Zimbabwe was poorer with his death. “The whole nation is all the poorer with his passing on. On behalf of Government, the party Zanu-PF, my family and indeed on my own behalf, I wish to extend our sincere condolences to the Mtukudzi family, especially his wife, Daisy and children during this, their dark hour of grief. May they derive comfort from the knowledge that the arts world in particular and our Nation as a whole, share their deep pain and great loss. 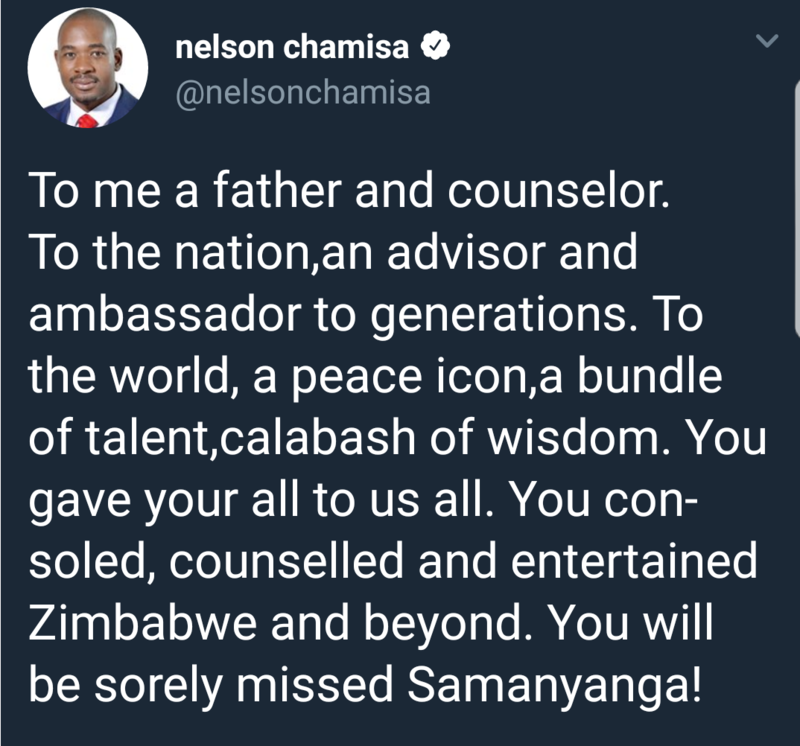 May his dear soul rest in eternal peace,” said President Mnangagwa. Information, Publicity and Broadcasting Services Minister Monica Mutsvangwa also consoled the Mtukudzi family in a statement. “Government conveys its heartfelt and sincere condolences to the Mtukudzi family over the passing on of Zimbabwe and international music icon, Oliver “Tuku” Mtukudzi. This is not only a loss to the Mtukudzi family but a loss to our country, the whole of Africa and humanity at large. Through his music Tuku touched millions of hearts around the globe,” she said. Minister Mutsvangwa said Dr Mtukudzi sang love, social justice, social trials and tribulations of human existence. “Tuku Music is a global symbol of Zimbabwean art and culture. 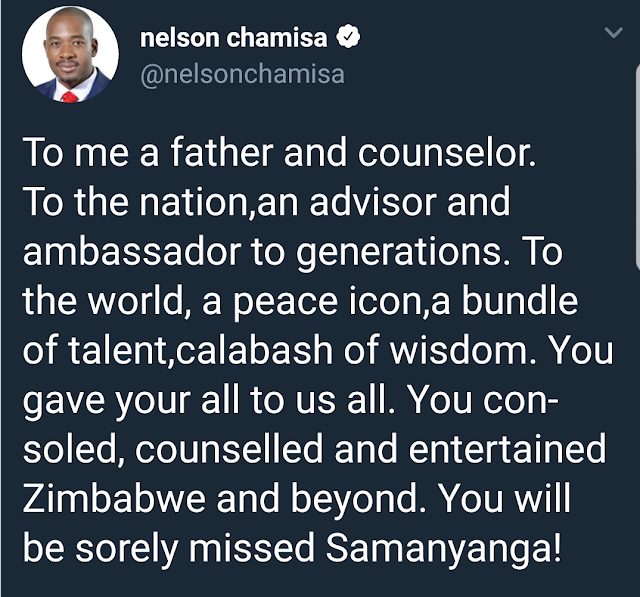 He ably represented Zimbabwe on the regional, continental and international stage, providing education through his music that was rich in social commentary and entertaining at the same time.